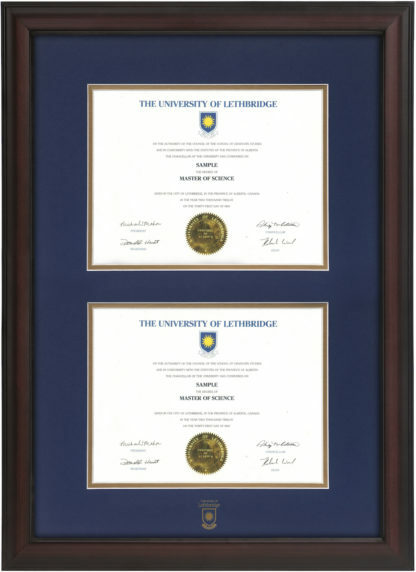 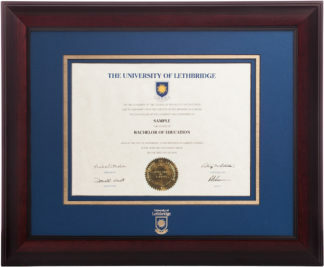 This frame has a double opening that will accommodate two diplomas. 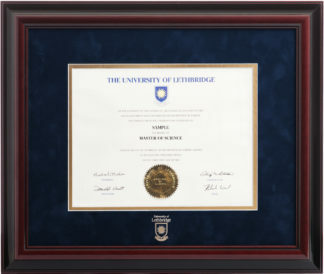 It is assembled with a Crescent brand acid free, double white core mat, white over blue. 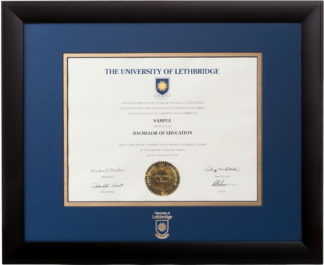 The university logo is hot stamped in gold foil.